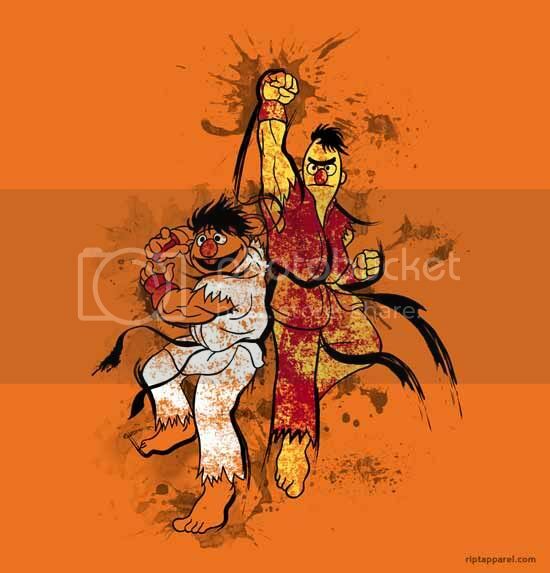 Remember those Sesame Street Fighter mashups we posted a couple months back? Well, apparently somebody liked it so much that they turned all those great images to actual T-Shirts. I'd go ahead and buy one now but I still can't decide what size I'd have to order. You can go ahead and get one yourself for around USD 10.00. I really like that the artist is trying to go for the Street Fighter IV look with all the ink just scattered around while still making sense.